Life's a Beach | Expat Life in Playa del Carmen : Celebrate Cinco de Mayo and Support Angel Notion! 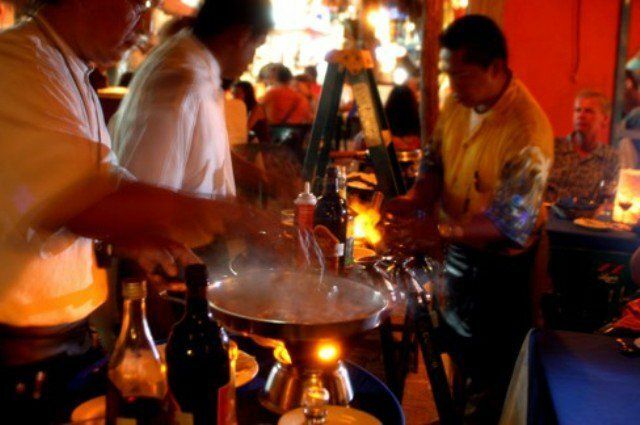 Celebrate Cinco de Mayo in grand fashion at Ajua Maya Restaurant in Playa del Carmen! Enjoy the exquisite culinary creations of Chef Gabriel Sanchez Gomez, a Master Chef of Traditional Mexican cuisine and help support Angel Notion. Ayuda de los Angeles A.C., better known as Angel Notion, is a non-profit medical foundation serving the needy in Playa del Carmen and the communities along the Mayan Riviera with medical care, surgery, education, and dental care along with many specialties and alternative medicines. Services at the clinic include Psychological counseling, Gynecology, Dentistry, Pediatrics, Language Therapy, Orthopedics, General Medicine, Optometry, Nutritional Therapy and Ultrasound. Angel Notion provides disabled children in Playa del Carmen with customized medical attention and rehabilitation, specialized treatment and surgery, seminars on Life Skills to promote independence in day-to-day living and enhance opportunity for job placement. The foundation also facilitates special Medical Missions to provide special surgeries for cleft palate and other birth abnormalities. Ajua Maya will be donating 10% of their sales this night to Angel Notion, AC. We invite you to enjoy this fundraising benefit and to experience the authentic flavors of new Executive Chef, Gabriel Sánchez Gómez. 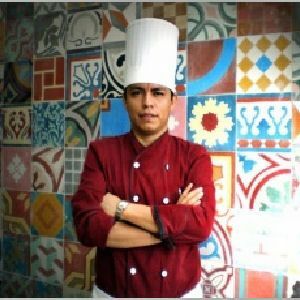 Chef Gabriel Sánchez Gómez is from the state of Puebla and was born with a passion for food, flavors, Mexican markets and traditional Mexican cuisine. As a young child he spent a great deal of time in the abundant Mexican marketplace, where his single mother worked to support her family. They had few resources however, his mother would save a few pesos each and every day until she had enough to purchase the best meat, produce and spices and some of the more expensive Mexican delicacies such as Huitlacoche (corn truffles). She showed him how to carefully select the finest quality ingredients available and taught him traditional recipes and cooking techniques passed down from generation to generation. At the tender age of 5, he was often left to care for his younger brothers while his mother worked. She would prepare a meal in advance and leave it for Gabriel to reheat and serve. Even at this young age, he would taste her dishes and then add his own combination of spices and condiments to adjust the flavors for himself and his younger brothers! From this time on, he knew he was destined to be a Chef! This Cinco de Mayo, Chef Gabriel will share his love and passion for traditional Mexican and Mestizo cuisine. Don't miss this opportunity to sample the authentic recipes and ingredients of Puebla including the famous Mole Poblano! Ajua Maya is located on Calle 4 between Avenidas 5 and 10. Reservations are recommended. Call 984 803 1118 or email fun@ajuamaya.com. Co-Sponsors for this event are La Clínica Sacbe, City Club, Corona, y Libertad de Accesibilidad, AC.